No, it's not a convertible... Photo Picture Classic Cars for sale & Classifieds - Buy Sell Classic Car & Classic Truck Classifieds. didnt Chevy have vents in the hood sides,not louvers. Ford likely. Looks like King Kong stepped on it! Poor old Chevy! 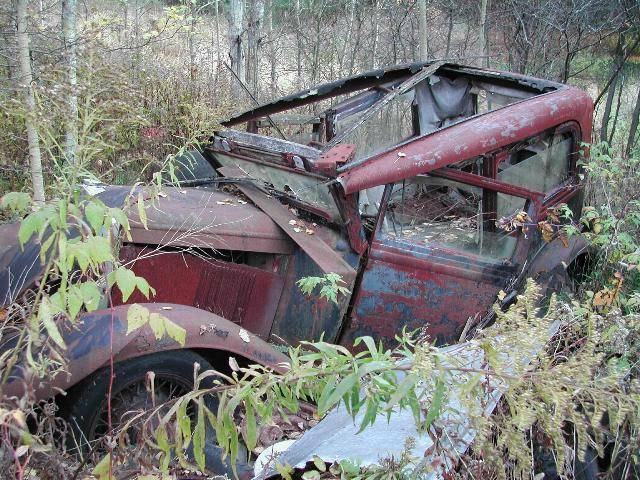 No one guess a year yet?Whish I could see the front.From the hood side panel and wood inter body fame rotting away will guess a 1930 chevy 2DS.That glass would be nice to cut new by.They were not safety glass till the early 30s and then in lots only the windshild. rock on!....another classic getting a new life! Nice man, channel those bodies to the ground. it still has glas wow!!!!!!!!! !